Over the past 8 weeks, I’ve been attending the MIT GSL  programme for Mauritius. It has been an amazing journey. 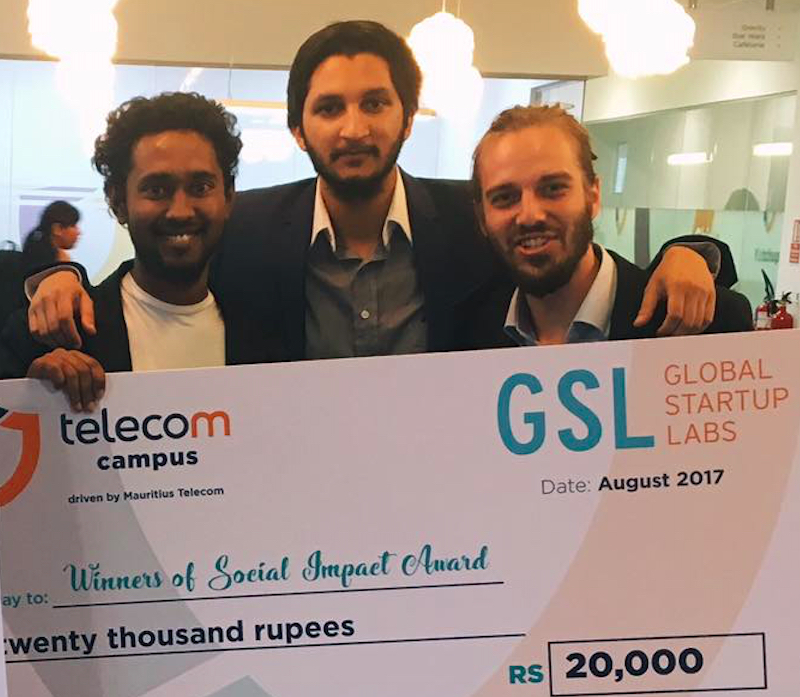 Our team won the Social Impact Award. Energy demand is increasing yearly but energy supply is having a hard time to catch up in Mauritius. Our project consisted of using IoT devices to reduce energy wastage and to accelerate green energy adoption. We investigated the greatest consumers of electricity in Mauritius and we found hotels to be among the culprits we hope to tackle. One of the reasons why saving energy is so difficult right now because users don’t know exactly how much each appliance is using. With the advancement of IoT technology and prices of the latter going down, we can now afford to measure the power consumption of each and every device in near real-time. We can thus analyze the data and remotely turn-off appliances which are wasting energy. Due to high demand with maintenance managers, we hope to provide water and gas monitoring solutions to detect leaks.